Manchester City midfielder Ilkay Gundogan was left out as Germany coach Joachim Loew named a 23-man squad for upcoming Nations League matches against the Netherlands and France. Gundogan hobbled off clutching his hamstring in the 2-1 Champions League win at Hoffenheim in midweek. But club-mate Leroy Sane, sensationally left at home by Loew for the World Cup, returns to the fold after pulling out of the squad for the first round of Nations Cup matches after his partner gave birth to their baby daughter. Sane came off the bench towards the end of a 0-0 draw with France in Munich in Germany’s first game in the inaugural UEFA Nations League last month, but withdrew prior to a scheduled friendly with Peru. 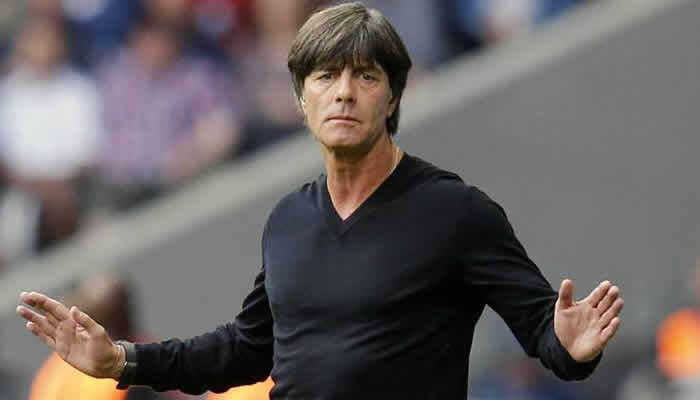 Germany play the Netherlands at Amsterdam Arena on October 13 before travelling to the Stade de France for their return fixture with France three days later. The only new face in Loew’s squad is Schalke striker Mark Uth, 27. Loew, meanwhile, has kept faith with right-sided defender Jonas Hector, despite his decision to remain with Cologne in spite of their relegation to the second division.